What appears to be debris may have been found off the Vietnamese island of Tho Chu but it has not been confirmed. There were 227 passengers, including 153 Chinese and 38 Malaysians, according to the manifest. Two were children. All 12 crew members were Malaysian. Among the Chinese nationals were a delegation of 19 artists who had attended an exhibition in Kuala Lumpur. Two male passengers were travelling on passports stolen from an Austrian and an Italian in Thailand in 2012 and 2013 respectively,Interpol said in a statement. The two passengers were en route to Europe via Beijing. 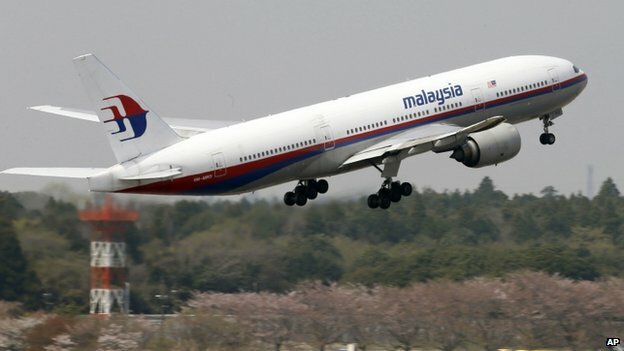 Flight MH370 departed from Kuala Lumpur International Airport at 00:41 on Saturday (16:41 GMT Friday), and was due to arrive in Beijing at 06:30. Air traffic controllers lost contact at 01:30. At a time as yet undisclosed, a relative reportedly managed to call one of the passengers, who was carrying a Singapore phone. Malaysia Airlines has repeatedly tried to call the same number but no ringtone has been heard. Where did the jet disappear? It was flying over the South China Sea, south of Vietnam's Ca Mau peninsula. The normal route would have taken it over Cambodia and Vietnam before entering Chinese airspace. 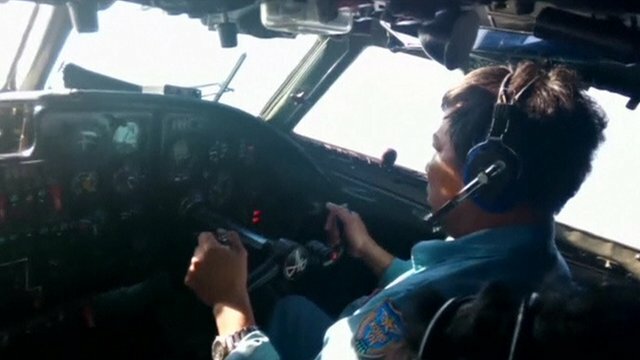 Have any traces of the plane been found? No wreckage has been confirmed. 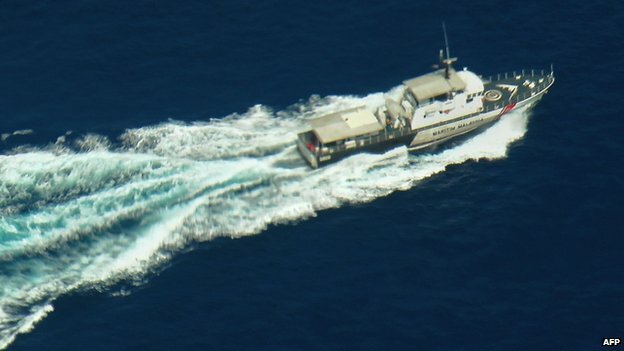 However, an unnamed official from Vietnam's national committee for search and rescue told AFP news agency: "We received information from a Vietnamese plane saying that they found two broken objects, which seem like those of an aircraft, located about 50 miles [80km] to the south-west of Tho Chu Island." Ships have been sent to check in daylight. Both waters to the east of Malaysia, in the South China Sea, and in the Straits of Malacca, along Malaysia's west coast, are being searched. What are the theories for a crash? Common factors in plane crashes are poor weather, pilot error and airworthiness. Weather conditions on this flight are said to have been good and the pilot, 53, who had more than 18,000 flying hours behind him, had been employed by the airline since 1981. Malaysia Airlines has a good safety record and the jet, a Boeing 777-200ER, is said to be one of the safest because of its modern technology. One of the plane's wingtips was clipped in an incident while taxiing in 2012 but it was repaired and certified as safe. David Learmount, Flight Global's operations and safety editor, told BBC News: "Today's aeroplanes are incredibly reliable and you do not get some sudden structural failure in flight. It just doesn't happen. It just won't happen." Could it have been a terrorist attack? The airline says it is not ruling out any theory while officials in the US, which is sending FBI investigators, say there is no evidence of such an attack yet. The presence of two passengers with stolen passports is a breach of security but could relate to illegal migration. When an Air India plane crashed in Mangalore in 2010 en route from Dubai, with the loss of 158 lives, as many 10 fraudulent passports were recovered. Can a modern jet just vanish without trace? An Air France jet flying from Brazil to France vanished into the Atlantic Ocean on 1 June 2009, with the loss of all 228 people on board. Debris was spotted the following day but it took nearly two years to locate the flight recorders and remains of the fuselage, deep on the ocean floor. The waters off Vietnam and in the Malacca straits are much shallower. Flight recorders, or "black boxes" as they are often known, emit ultrasonic signals that can be detected underwater. Under good conditions, the signals can be detected from several hundred miles away. But without knowing the trajectory of a plane as it went down or fully understanding wind and wave conditions if it crashed into water, searchers sometimes end up criss-crossing huge areas looking for relatively small pieces of wreckage, the Wall Street Journal notes in a things-to-know piece.